The Pacific Beach Hotel Oceanarium Restaurant will offer its traditional buffets for more than 12 hours on New Year’s Eve and on New Year’s Day allowing everyone to include it as part of their holiday weekend. The Pacific Beach Hotel Oceanarium buffet provides a dazzling and bountiful feast beginning at 9 a.m. both days and will be available throughout the day and evening until 10 p.m. with just a single pause between 3 p.m. and 4 p.m. 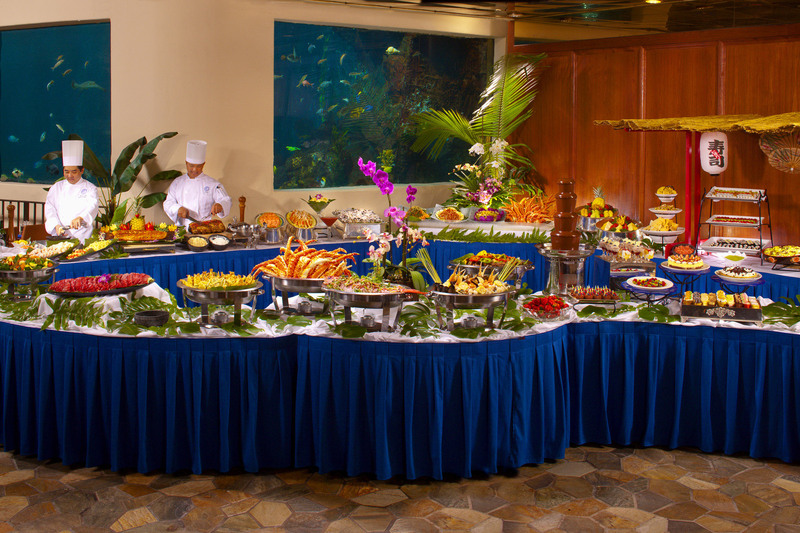 The Oceanarium Restaurant New Year’s Brunch buffet begins with appetizers and salads including oysters and mussels on the half shell, six different salads, cheeses, fresh fruits and juices. The entrees will feature eggs benedict, fresh Belgian waffles, traditional salt-roasted prime rib, brown-sugar glazed mini ham steaks, Portuguese sausage, fresh fish and a fresh organic egg Omelet Station. The feast is completed at the Dessert Station featuring Creme Brule, red velvet chocolate Tart, Shortcake, mousse, French pastries and Holiday Bread Pudding. The Dinner buffet service begins at 4 p.m. on New Year’s Eve and New Year’s Day. In addition to the plentiful assortment of appetizers and salads, the evening buffet adds a Dim Sum station with Roast Suckling Pig and steamed Bao, a Sushi station and a Seafood Pasta station. The dinner buffet presents Prime Rib, Lilikoi Ham, steamed Snow and Dungeness Crab Legs, Chicken, Braised Beef Short Ribs, Planked Salmon and braised Pork Loin. Dessert, anyone? The brunch and dinner buffets are priced at $44.95 for adults ($46.95 on New Year’s Eve) and $19.95 for children at the Pacific Beach Hotel, 2490 Kalakaua Ave. in Waikiki with validated parking. 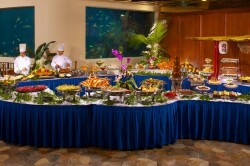 To view complete menus of the incredible New Year’s Weekend Buffet brunch and dinner selections, visit www.pacificbeachhotel.com. 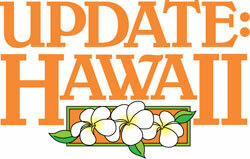 For reservations, call (808) 922-1233.